**PLEASE NOTE: you will need to fill out additional paperwork upon arrival of your appointment. Dr. Weido joined Allergy & ENT Associates in 1995. After being certified by the American Board of Internal Medicine, he became certified by the American Board of Allergy and Immunology. He has held elected board positions on the Greater Houston Allergy Society and the Texas Allergy, Asthma, and Immunology Society. His bachelor’s degree was earned with high honors at the University of Texas at Austin. He then received his medical degree from the University of Texas Medical Branch at Galveston, where he was voted “Outstanding Senior Medical Student” by his classmates for his work with charitable organizations. An internship and residency was completed in internal medicine at Baylor College of Medicine, followed by a fellowship in allergy/ immunology at the University of Texas Medical Branch at Galveston. He has also published scientific and clinical papers on the diagnosis and treatment of allergies and asthma. The American College of Allergy and Immunology honored Dr. Weido with the Proctor and Gamble Research Grant Award in 1995. 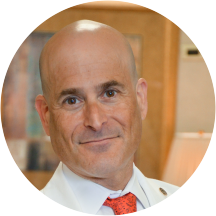 Dr. Weido applies the same type of dedication to excellence in the treatment of his patients. Dr. Weido and his wife live in the Houston area, as his family has for four generations. The office staff was very friendly and Dr. Weido took his time and explained everything to my daughter so she could make an informed decision about her care. I am SO happy that I found Dr. Weido. He and the other staff members were kind and knowledgeable and really listened to all of my concerns. I was given quick remedies to alleviate my symptoms and honestly feel much betteralready. I’m looking forward to my allergy test in two weeks. Went to visit Dr. Weido during one of the worst cedar seasons I'd ever experienced. I was a complete mess, and within about 15 minutes of entering the office he'd run me through a gamutt of tests, put me on Prednezone,a nazal spray, and reviewed my previous alergy panel from another doctor and signed me up for allergy shots; . I left there fealing a million times better, and haven't had an allergy attack since. One of the best Medical experiences I've ever had. Very nice staff. The Doctor was GREAT and let me participate in choosing the best options for me. The wait time is always minuscule. The office staff greets me by name. The nurses are outstanding. Dr. Weido listens well, asks pertinent questions, is extremely knowledgeable and demonstrates his caring attitude. I am extremely grateful for being referred to Dr. Weido. Thorough exam, knowledgeable, took the time to understand my history, successful change in treatment. Very impressive. Very professional and knowledgeable in my issues with chronic hives, angiodema and urticaria. I have struggled with episodes for almost w0 years. He gave me information that 3 other Allergist had not given to me when I was living in the NE. We used Zocdoc to make the appointment, however when we get there we were told we were not on the schedule. The doctor was rude and not very kind regarding our concerns. It felt like he was trying to get throughwith the appointment because he had better things to do. Dr. Weido is one of the best doctors that I have met! I learned a lot about my condition and ways that I could do to take better care of myself. His explanations are simple and straight to the point. I was very pleased with the conduct of Dr. Weido and the nurse Starla. Everything was explained to me in a caring and unhurried manner. At this point I am extremely pleased Dr. Weido was recommended to me by a friend. Dr. Weido and his staff are treating my numerous allergies. They have all been knowledgeable, helpful and kind! Very professional and very receptive. Dr. Anthony Weido, MD, FAAAAI has no appointments on Zocdoc right now.